Baked zucchini are the ideal recipe for a delicious, light and fast side dish. 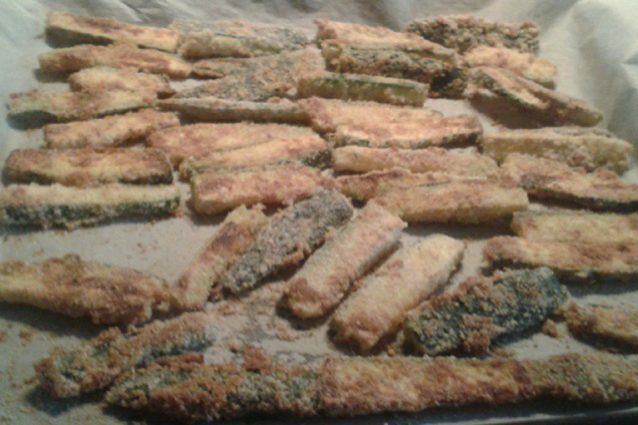 An appetizing dish that will please everyone, even children, who usually do not like vegetables: zucchini cut into sticks, covered in breadcrumbs, flour and grated Parmesan cheese that, once ready, will be crunchy and appetizing like real chips. The problem will be to stop eating them! 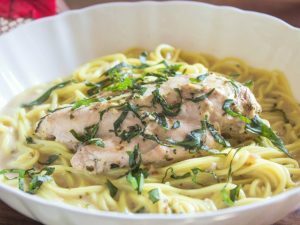 But here's how to prepare them in no time. Wash well the zucchini, dry them and remove the ends. (1) Now cut them into slices first and then into sticks and turn the oven on to 200° C to heat it. In a bowl put the breadcrumbs, the flour, the grated Parmesan cheese, salt and pepper. Add the zucchini sticks and mix well until all the zucchini are wrapped in breadcrumbs. Arrange them in a fairly large baking sheet covered with parchment paper so as not to overlap them. 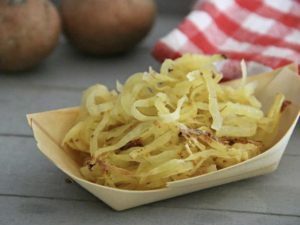 For this recipe it is better to choose medium/small and young zucchini, as they contain no seeds and are sweeter. Wash the zucchini before cutting the ends: this vegetable already contains a lot of water, cutting the ends would make it absorb more water. If the zucchini are small you can cut them into rounds, so once cooked they will look like classic chips. If in the fridge you already have zucchini, not really fresh, before using them, cut them and leave them in the colander with coarse salt. In this way they will lose excess water and will be less bitter. According to your preferences you can add to the breadcrumbs a mixture of spices: paprika, curry, red pepper, turmeric; or a mix of aromatic herbs: rosemary, sage, thyme, basil. Instead of breadcrumbs and flour, you can use semolina flour, combined with grated Parmesan cheese, salt and pepper. 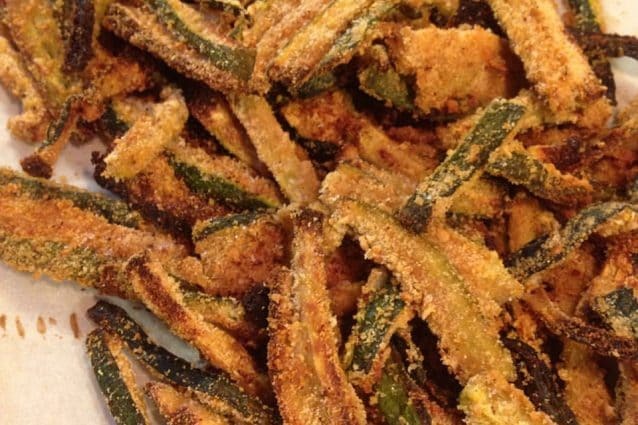 The breading will be lighter but your baked zucchini will still be crispy. You can preserve the baked zucchini for one day in an airtight container. 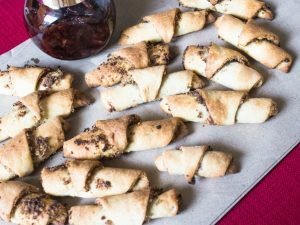 Before consuming them, heat them a little in the oven: they will be less crunchy, but equally good. 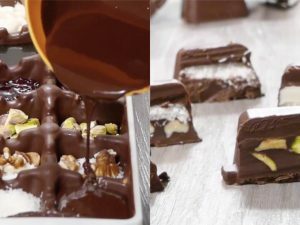 Handmade Fancy Chocolates: an ingenious idea!